As part of a nationwide initiative “to generate conversation about guns and gun violence,” the Fairfield University Art Museum will present an exhibition in which every art piece was created using decommissioned guns that were removed from the streets of New Orleans in a gun buy-back program. “#UNLOAD: Guns In The Hands of Artists” features works by painters, glass artists, sculptors, photographers, video artists and poets. The exhibition will open on Friday, June 1, and run through Oct. 13 in the museum’s Walsh Gallery. Numerous programs and special events will be tied to the show. 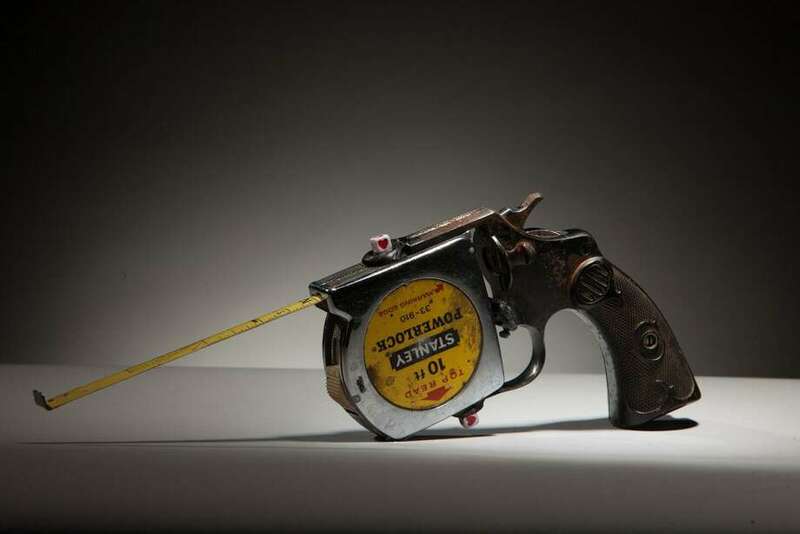 The exhibition “will offer the opportunity to continue this national conversation with a focus on Connecticut’s response to the challenges posed by the threat of gun violence, and the tragedy at Sandy Hook Elementary School in 2012,’ the museum added. Special events begin with a panel discussion, “Art Making for Social Change,” on opening night at 5 p.m. at the Quick Center’s Wien Experimental Theatre; a reception, open to all, will follow from 6 to 8 p.m. The panel discussion will be moderated by Helen Klisser During, co-founder and artistic director of #UNLOAD, and several exhibiting artists including Paul Villinski, Bradley McCallum and guest curator Jonathan Ferrara.